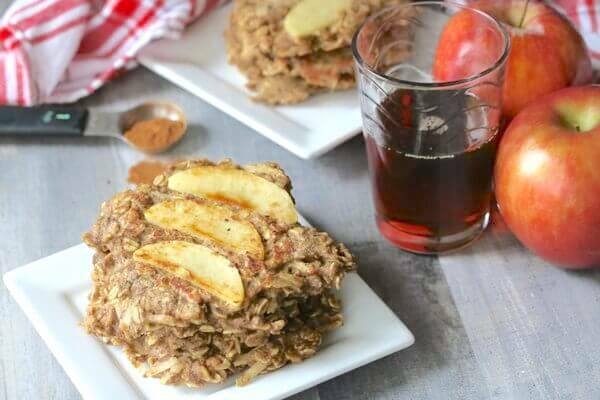 These apple cinnamon oatmeal pancakes are not only full of healthy ingredients, but they’re thick, filling and perfect to get you started in the morning! Plus they’re gluten free! Apples and cinnamon have always been a comfort for me so it seems only natural to pair that combination with my favorite kind of breakfast! And while I adore pancakes for breakfast, the box kind just don’t do them any justice. These apple pancakes contain the perfect balance of fuels to fire up your system in the morning and keep you full until your next meal. Oats have always been a classic breakfast staple because they literally “stick to your insides”- in a good way! Oats are filling and full of fiber which makes them perfect in the morning. 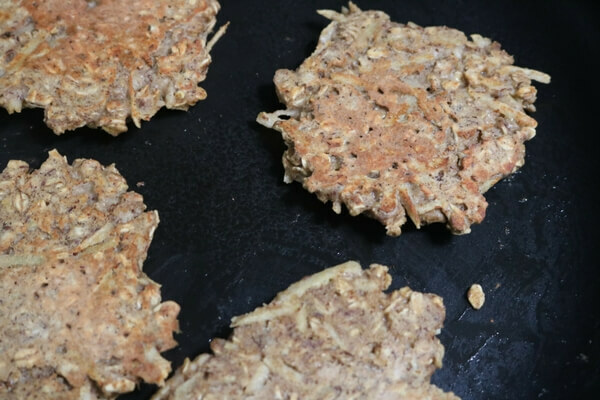 Combine them with the healthy fats of flaxseeds and the deliciousness of apple and these pancakes sure pack a nutritional punch! 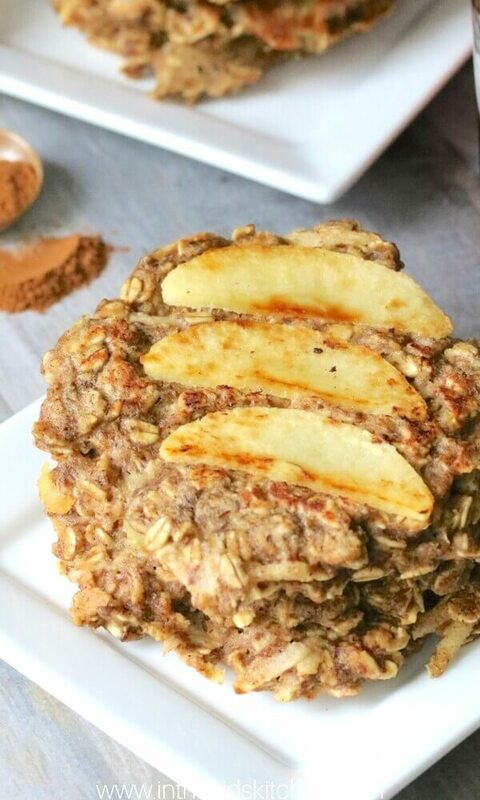 Related: You might also love our apple cinnamon energy bites! *Note: To ensure that your oatmeal pancakes truly are gluten free, double-check the packaging for your oats and oat flour to ensure that they are produced in an environment free of gluten cross-contamination. Tip: you can use a grater or a food processor fitted with the grater attachment for easier apple grating. First, peel your apples. Remove apple cores, then chop the apples in a food processor. Set aside. 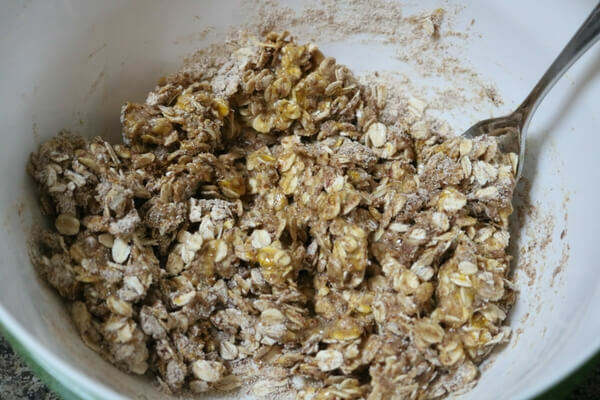 Combine oats, flour, cinnamon, baking powder and flaxseed in a large mixing bowl. Mix in your chopped apples. Heat your griddle or frying pan over medium heat, just as you would for regular pancakes. Coat with butter or cooking spray. Divide the pancake batter into six equal portions. If using a large griddle, you may be able to cook them all at once. If using a smaller frying pan, you may need to cooke them in batches. Use silicone spatula to press down the mixture and create a pancake shape. As pancakes cook, place 2-3 apple slices on top, pressing down firmly so the apples cook into the pancakes. Cook for 4-5 minutes (or until bottom is starting to brown) and flip. Cook another two minutes or until heated through. 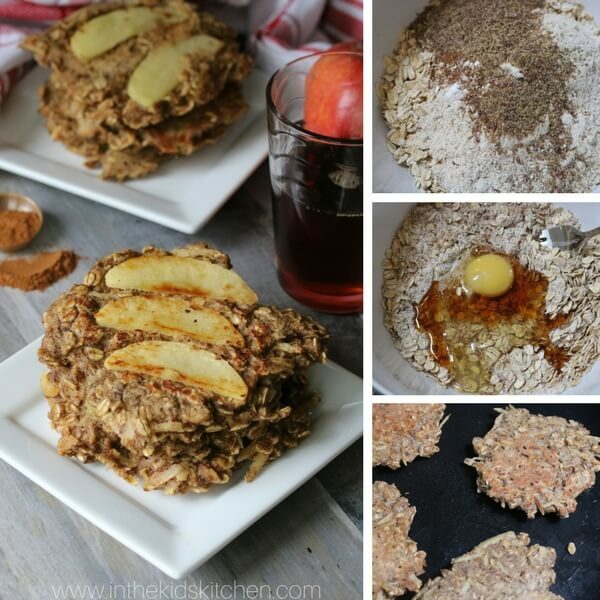 These apple cinnamon oatmeal pancakes are high fiber, high protein, gluten free, and a good source of healthy fats. Plus they're delicious! 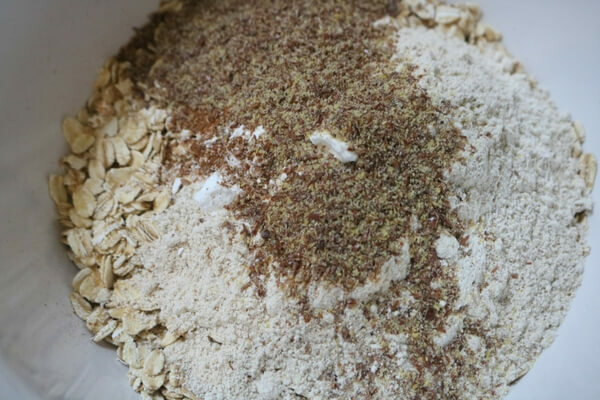 Mix together oats, flour, cinnamon, baking powder and flaxseed. Add in the eggs, syrup and applesauce and mix to combine slightly. 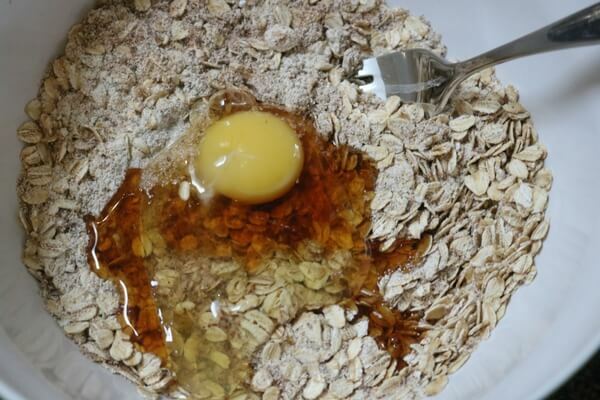 Add in the almond milk and mix until wet. Portion out the pancake mixture into the pan into six pancakes. You'll need a silicone spatula to pressdown the mixture and create a pancake shape. Cook for 4-5 minutes(or until bottom is starting to brown) and flip. 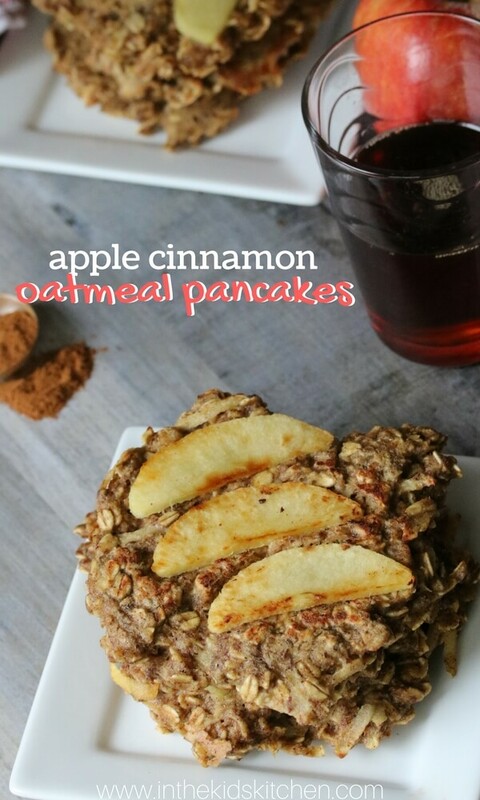 These apple cinnamon oatmeal pancakes are far from light and fluffy. 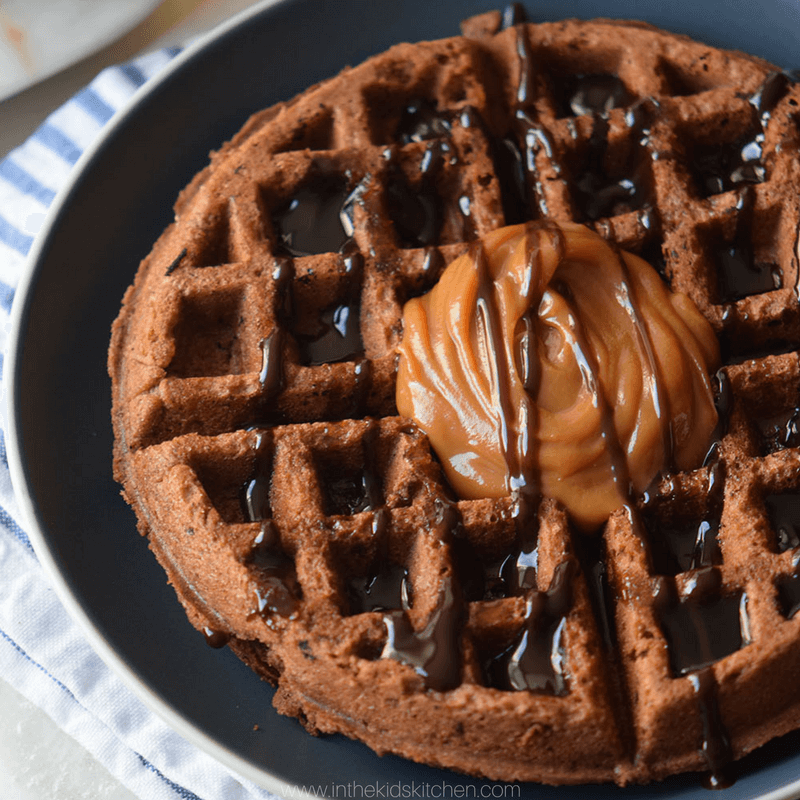 They’re thick, filling and perfect for breakfast! 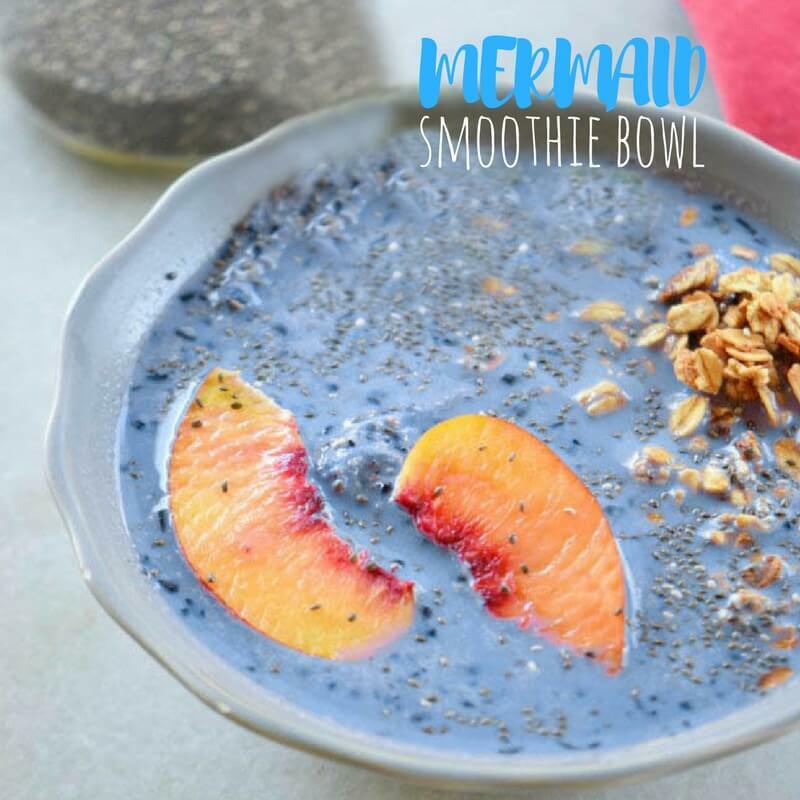 They contain healthy, nutrient dense ingredients to not only taste great but keep your system fueled and filled for the morning.